No, I am not competing, but I have been following the live stream closely. I watched this competition last year as well thinking that this year I would be there on the floor. Well, not quite, but here’s hoping next year will work out for me. What I love about this competition is the size of it. There are semi finals in some single dances and scholarships have quarter-finals–even in my age categories. We don’t come even remotely close to that here. It’s a competition where I feel I would really be testing my skills against some of the strongest pro/am dancers out there. There is also a great variety in multi-dance options, including 6-dance competitions and 10-dance competitions, something else that is very hard to find at most competitions. I loved watching the Pro Rising Star last night and one of my favourite Canadian couples placed 2nd!! Congratulations to Ilya and Polina from Ottawa! I have to confess that I am definitely watching the heats where I would be competing and wondering how I place. It’s really hard to tell right now because everything is so very in flux for me. I seem to be healing well, but at the same time it’s a little more difficult than my last surgery. My drain is causing me a lot more pain, but it’s located just above my left hip flexor so gets compressed when I sit. Both the drain and stitches won’t be removed until next Thursday and I am definitely looking forward to that. I am really bruised right now too from the liposuction and very swollen. It will take about 4 weeks for the swelling to go down around that. Also, the way my belly is stitched, I have serious doubts that things will be able to ‘even out’, and I am worried I will keep my ‘toadstool’ shape with a big upper belly and non-existent lower belly. Something to ask the surgeon about I guess. Hopefully that can be fixed when he fixes my chest after I lose some more weight. Still 5 weeks until I can dance again, although right now I honestly can’t imagine it because I am so sore. Boss is away almost right after I am able to return so that will also be a bit of a break. I am ok with that as in the meantime I hope to slowly start back to work, and after May 26th the plan is to try the hormone therapy at half dose again and I don’t want too much going on while I try that. I have a new family doctor I see today as my other one just had a baby. I know the new doctor because he is also a dancer. That is a little awkward, but perhaps it will also be an advantage as he will understand some of the challenges dance presents. I expect my sick leave will be extended another 30 days, but I sincerely hope this will be the last time. I am so eager to get back to working again. Well, back to watching Emerald and recovering. I will say that I definitely feel better in general after this last surgery. Like finally there is a light at the end of the tunnel and I am fully ready to start getting back to aspects of my old life like work, regular dance, strength training, etc. Just waiting to heal up that much, but already have a good plan for building back to where I was. I might even take some group classes to help with endurance and transition. We will see. 5 weeks to go. Just wanted to drop a quick note to say things went ok. I am home now and resting. I am experiencing more pain with this surgery, but managing it best I can. I have 1 drain which I hope not too have too long. The surgeon was able to remove the seroma capsule, which I was told held more than 1 litre of fluid. He stitched the pocket closed. It’s a little strange because now my lower belly is non-existent, but I still have a chubby upper belly. So right now I have the mother of all muffin tops. I was told it will ‘even’ itself out as I heal and once the bandage is removed. The surgeon was also able to do some liposuction of the dog ears and just above on my hips. It’s left some pretty colourful bruising that is probably going to get more interesting as it heals. With everything swollen right now, it is hard to tell what the final results will be. I have to call my surgeon’s office on Monday to schedule a follow-up. The past week has been incredibly difficult. The menopause symptoms have come back full force despite taking the medication that is supposed to relieve them. I have been having regular intense hot flashes, not sleeping well, headaches, nausea, muscle aches and intense mood swings. I called the cancer agency to see if anything could be done and my oncologist prescribed yet another medication to add to the one I am already taking. So now, I am taking two different medications to counteract the side effects caused by chemo to hopefully reduce the side effects of hormone therapy–which I won’t even start until 2 weeks after my surgery. There is something about that which just doesn’t make sense to me. And it makes me incredibly uncomfortable. I am hoping I will get a chance to talk to the oncologist on the phone to discuss some of my concerns instead of just a nurse. The nurses are great, but I need to understand better what the oncologist is thinking. I have been feeling so bad that I have cancelled my lessons and not even practiced since last Wednesday. I am supposed to have a lesson tomorrow but part of me is having a hard time convincing myself not to cancel it too. With the surgery on Friday and looking at 6 weeks of no dance ahead I guess I am wondering what the point would be. Boss told me he wants to the review the smooth tango that the coach put together for us and record it so we don’t forget it, go over some exercises and talk about things for when I come back. It all makes sense, but I still just don’t know. I am wondering if a big part of this is post-comp blues even though I didn’t really compete. Working at the comp was a big high, so it is natural to expect a bit of a low after, especially with surgery coming up. I think though, I am really reaching the extent of my strength reserves. 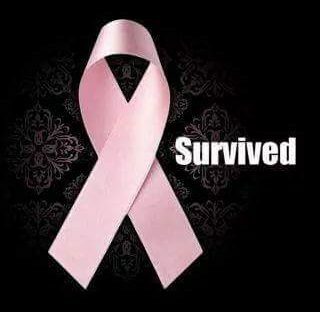 It’s been 18 months that I have been fighting cancer or dealing with the fallout from it. I keep waiting and hoping for things in my life to resemble something like the did before–like work, regular dance, a social life–and as soon as I get close to getting there, something happens to keep me in the loop I am in–more and more recovery. I am tired of working so hard to recover. Haven’t I done enough? I don’t have a good feeling about this surgery Friday. The doc is supposed to go in and close up the pockets where the fluid is collecting. My belly has swollen up quite a bit in the last few days and my pants are barely fitting right now, so that is a sign it’s needed. The doc is also going to remove some excess skin from my belly, some ‘dog ears’ from my hips and even out the sides of my belly where one side is bigger than the other because less tissue was taken from there. If everything goes as he said, then the results should be pretty good. I guess part of me is waiting for something to not go as planned. I feel like I have too high expectations and that they are going to be dashed away and there will be another complication. It’s a really pessimistic outlook for me, but at the same time perhaps it is a realistic one too. The surgeon says the recovery should be about 3 weeks, but wants me to wait 6 for dance because of the abdominal involvement dance requires. That means I will be off the floor until about June 3rd. Unfortunately (or fortunately?) Boss is going on vacation on June 9th for two weeks, so it is unlikely I will be able to do anything really before he gets back. I do hope to be back to work at least by then and after the 3-4 week mark. I also had another disappointment and let down this week, besides resigning from the board of the local dance society. I worked on a really big project that went really well and found myself looking forward to helping to plan for the next year. I was feeling great and enthusiastic about it until I met with the person in charge and he told me that he thought I was too involved this year and caused interference. It was completely unexpected and more or less a rejection. I am trying to deal with that and figure out where my place on the project might be for the future, and if it’s a role I want to fill. Just so much going on, the least of which seems to be my health. I am hopeful I will feel better tomorrow and have a chance to talk to the oncologist to get a clearer picture of what is going on. I hope I feel up to my lesson tomorrow, so I can at least get one last one in before my next surgery. Just one more hurdle, right? The roller coaster of life continues. I had a lesson on Wednesday, but Thursday and Friday I found myself not feeling well and with the surgery coming up next week, I decided it was best to take a few days off. In all honesty, I think stress is the biggest contributing factor to me not feeling well. It’s been a busy week. My lesson on Wednesday was difficult for me. Partly because I was upset about something that happened earlier in the day, partly because I was struggling with what Boss was trying to teach me. He and I also argued more in my lesson than we had in a long time and that also put me off my game. The argument was rather random. Boss was late for my lesson so I spend the extra time warming myself up. When he did arrive, I could tell he was distracted, but decide to see how things went. We began with him asking me to do my rumba walk for him in time with the music. I pulled myself together, focused and began walking. But as I turned around the corner to face Boss, I was greeted by the top of his head buried in his electronics. He wasn’t even watching what I was doing. I was so stunned I stopped moving, stood where I was and when he still didn’t noticed walked back to the corner where I began. He didn’t notice I stopped until I was almost at the original corner, and he asked me then why I stopped. Then he asked me to do it again. So, same thing and as I rounded the corner….once again it was to discover he wasn’t paying any attention to me. This time I just stood where I had stopped and waited for him to notice. When he did, he asked why I stopped and said ‘what, you are warming up’. I could have accepted that if he wasn’t 10 minutes late and I hadn’t already spent time warming myself up. The whole incident just rubbed me the wrong way. The rest of the lesson continued with a similar argument. I would be doing something and then Boss would start talking to me to make corrections and adjustments. I wouldn’t be able to hear him so I would stop and turn towards him (sometimes he was beside me, sometimes behind). He would tell me not to stop while he spoke. Round and round we went. Finally, as we got that sorted, we moved on to samba. Well, it seems I have been doing samba quite wrong and was completely lacking any concept of what I needed to be doing. That began a difficult and frustrating lesson to try and help me understand the movements I needed to do and since I was already quite upset I was getting frustrated quite easily. In the end, I stuck with it and him and it seemed we were able to get me moving the right way but it was quite a struggle to get there. On top of the struggles I was encountering, making changes and working on new stuff seemed to highlight to me that next week I will have surgery and will have to take time off from dance because of it. I felt like even though I was understanding the new stuff, there isn’t enough time for me to fully incorporate it before I have to take a prolonged break, so I was frustrated with that. It was an emotionally exhausting lesson, to say the least. Following that lesson, I had a meeting of the board of the local dance society on which I sat, and it became clear from that meeting that I would be unable to continue to sit on the board any longer. I won’t go into the issues here, but there is a general lack of communication and support among board members which put me in a position I felt I could no longer remain in. It was a very difficult decision to leave, but one I felt I had to do. I should have two lessons next week before my surgery, then it looks like no dance for me until the beginning of June :(. If all goes well though, it should be the last hurdle to getting me back to 100%. Yes, finally I am able to start moving forward on getting new dresses! Today was my first fitting for my standard dress (‘Emerald Wine’). It wasn’t much, mainly the body suit and under-dress, but it was still really exciting! I could start to see how it is going to come together. My surgery next week is going to delay fittings for a little while, but that’s okay. I won’t be competing for quite a while and that gives us time to make sure we do exactly what we want. We also redesigned the latin dress a little (‘Ocean Sunset’) and the new design is completely speaking to me and the dress designer. It takes elements from the standard dress and adds a latin flavour. It’s been so long since I have had new dresses and done fittings that it is so easy to get excited. It’s like we are creating 3 new looks and my dresses are certainly going to be different from others I have seen around here. It’s nice to have something so tangible to look forward to. I can’t wait for my next fitting! That is what I feel like today, since I haven’t posted in so long! Last week was absolutely crazy! I have been working with Boss on organizing a competition in my hometown for months and on Saturday it finally happened. I am very pleased to say it was a huge success! But with all the craziness of last minute things that had to be done, I didn’t get a chance to post. One of the best things that happened last week was that I got to work with one of the top smooth professionals in Canada on my open smooth tango routine. It was a pretty amazing experience! She had so many points to offer that are so unique about smooth and makes it so different from standard I was completely blown away. I think even Boss was impressed as smooth is not something he has really done a lot of work in before. She almost completely redesigned our tango routine. Much less time in hold, but also gave it a whole different flavour which is much more american style. One of the big things was to vary up a lot more the different holds we are using, so not just shadow and close hold. Her biggest comment to me was ‘You are good. You just have to stop panicking’. There was an interesting moment while we were working where she wanted me to do a leg crawl on boss but while wrapping my arms around him in a ‘hug’ type position. I guess the first few times I did it I looked pretty terrified–to the point where she grabbed Boss, did the move twice and pointed out it was not hard, and she just met Boss–so it should be easy for me who knows him well to ‘get all up on him’. There was one very evident thing that became very clear as we were working with her–and this is how inhibited I can be when it comes to dance. I don’t think even Boss realized it until she pointed out how tentative and small I was and how uncomfortable I clearly was with anything beyond more traditional conservative holds. Working with her, even just the little that we did really took me out of my comfort zone–but I think it was a very good thing. I am generally a very closed and conservative person, so to have her working with me to come out of that shell was very difficult for me but also enriching. I guess being very close and ‘up on’ a man in public is not generally in my wheel house. I really appreciated though that she was stretching my comfort zone. I found that as she was putting together the routine, I found myself worried that something she was suggesting would mean I had to invade Boss’s personal space or cross the conservative line which always seems to be between us. I think it surprised me a lot that Boss was so willing to do all she was suggesting because it really was far outside anything we have really done before. The closest was a Viennese Waltz solo we did more than two years ago and nothing we have done since has even remotely had any undertones of intimacy to it. I think intimacy is a good word. Many of the moves she was suggesting really involved showing the passion and conflict of the tango and that is an area where both Boss and I struggle. We are both very technical and methodical people when it comes to dance, but it is not often that we work on bringing emotion and passion to our routines. Don’t get me wrong, we have a lot of fun with what we do and sometimes we will tell stories–like in my ‘Fight Song’ rumba solo, but I will admit that when it comes to creating chemistry we tend to fall short and err on the side of caution. I can’t even tell you if it is something with me, or Boss or both of us together. It is just not something that comes natural to us, and generally is something I think we both just avoid. To be perfectly honest, I think that having that lesson was a wake-up call for me, although I admit to not yet fully processing it. It has me thinking, for sure, and that is probably why I find myself writing about it tonight. I can tell the wheels are still turning in my head on this, and likely I will post more about it in the future. Unfortunately, we only got to work on the tango, although we had hoped to work on the foxtrot yesterday. After running the competition, both Boss and I were too worn out for a lesson and we ended up cancelling. I was really curious to see what she would have suggested for Foxtrot. Hopefully we can work more with her in the future. Leaving that topic alone for a little bit, my solo on the weekend went really well and the photos I have seen of it show how much I have been working on my rumba technique. Almost every photo shows me with straight legs and forward posture–so Yay me! I hope to see a video of it. Boss had a lesson yesterday with one of the judges from the competition (he takes lessons for his own professional development), and I guess my solo made a good impression on her. She is one of the top WDSF judges and Boss told me she commented that she thought I had great natural arm movement. That’s a huge compliment to me as my arm styling is one of the few things I do and develop mostly on my own. It’s not something that Boss and I have ever worked on, just something I have picked up here and there from various classes. It’s great to know I was able to make such a favourable impression on a judge like that! She is going to be back in the area early next month, but unfortunately I won’t be able to take a lesson with her myself as I will still be recovering from my surgery. I got more information on my surgery next week, but I will post more about that another time. Long story short, I am looking at another 6 weeks of no dance :(. That was a bit of a surprise to my last lesson. Let me explain. We have been working on my rumba solo and making little tweaks here and there. There are two points where the music comes to a bit of a climax and at both points I do a similar lunging type move. I had a weird dream the night before my lesson and in it we were doing the rumba and at the second climax instead of a lunge, I did a lean away from Boss-just to do something different. When I got to my lesson, I decided to mention it to Boss on the off chance he might like it. Not only did he like it, he was really enthusiastic about it and we spent more than half of my lesson working on it to try and get it right. One of the most interesting things to come out of that was Boss’s surprise not only that I could do the lean, but also how well I could control it. It did take some trial and error to find the point I could lean without Boss sliding along the floor (I have about 60 lbs on him right now), and then because this happens over almost 2 bars it needed a little bit of controlled movement to make it flow and to come out of it. I actually like surprising Boss a little bit with things like this, but I will say it always surprises me when he accepts and idea I present and decides to work with it. A year ago, he was much much less open to any suggestions I might have. I like the way this lean goes. I am not only leaning away from Boss, but then I have to stretch my upper body up and back towards him. I have to remember to become a leaning tower, and not to let myself sink by bending my knees. In fact when I get into the lean initially, I have to remind myself to go ‘up’ to make the line work. It’s a tricky move because I have to get into it coming out of syncopated swivels, but it looks really cool! Next week we should be at the point where we can just run through the solo from top to bottom over and over. We have one small issue in that there is an extra bar at the end because I am able to turn much faster now than before, so we need to fill that time, but we will work that out on Monday. The plan for next week is to alternate between running through the solo and working on reviewing my open smooth routines because on Friday I am going to be working with a coach who is a former smooth champion! I can’t wait for those lessons! Hard to imagine it is less that 1 week before the performance.